THE cooling real-estate market in China has prompted mainland Chinese investors to put their cash to work in overseas properties, with Singapore emerging the second most-preferred outbound destination in Asia after Hong Kong. Abundant liquidity among developers, investment institutions and wealthy individual investors, supported by a rising renminbi, are also driving the current capital outflow, Cushman & Wakefield said. From 2008 till June this year, the Chinese pumped US$3.23 billion (S$4.18 billion) into Singapore's real-estate market. Half of that was spent on development sites and nearly a quarter (23.8 per cent) on retail assets, said the property consultancy. This trails the US$3.84 billion put into Hong Kong real estate by mainland Chinese investors over the same period. A string of high profile deals by Greenland Holding, China Vanke, Dalian Wanda, Country Garden and Fosun International have drawn attention to the growing presence of Chinese investors in global real estate. Overall, Chinese investors spent US$33.7 billion on 353 deals from January 2008 to June 2014. The US$5.1 billion spent in the first half of this year was almost equivalent to the amount spent for the whole of 2012. The most popular investment models for Chinese investors are greenfield investment and mergers and acquisitions, Cushman & Wakefield said in a recent report. Private enterprises and individuals accounted for 62.6 per cent of the total value of outbound investments, and state-owned enterprises, 37.4 per cent. Chinese investors seem to prefer mature markets: The US was the top destination for Chinese real-estate dollars, registering 124 deals worth US$9.72 billion; of this, more than US$7.05 billion was spent in 2013 alone. This is followed by the UK (US$5.8 billion), which accounted for 62.7 per cent of the total Chinese real-estate investments in Europe. Cushman noted that the Chinese have also warmed up to South-east Asia, given its proximity to China and its strong presence of ethnic Chinese communities. Malaysia has also emerged a hotspot, with Chinese investors pouring in US$2.07 billion there over the same period. While Chinese investors are generally drawn to strata-titled offices in Singapore, they prefer land development in Malaysia, Cushman noted. In Europe, Chinese investors favour commercial real estate. Shanghai-based, state-owned Greenland stood out for its aggressive moves in recent years, including a US$500 million residential project in Sydney in 2013 and the US$1 billion mixed-use Metropolis project in Los Angeles. Shenzhen-based Vanke teamed up with New York's Tishman Speyer to build a luxury condominium in San Francisco last year. After Beijing gave the go-ahead to Chinese insurers to invest a percentage of their assets in prime commercial assets, Ping An insurance snapped up London's iconic Lloyd's Building in 2013 for £260 million (S$528 million); China Life jointly acquired a landmark office tower in London's Canary Wharf with Qatar Holding at £795 million this year. Cushman said it expects the Chinese outbound investment trend to continue, as wealthy individuals and cash-rich companies look further afield to diversify and expand their global presence. Smaller and lesser known firms are also starting to follow the trail blazed by top-tier developers and investors. The property consultancy pointed out however, that while the impetus for outbound investment among Chinese investors was strong, challenges are in the way. The lengthy approval procedure to transfer large sums of money out of China is "a significant issue" in fast-moving markets, where deals need to be closed quickly. "Chinese investors also face a steep learning curve with differences in corporate and management cultures, divergent business practices and unfamiliarity with foreign legal and regulatory environments," Cushman said. MORE Russians are choosing Singapore as a vacation destination, and those who come tend to splurge on high-end accommodation and luxury goods. Figures from the Singapore Tourism Board (STB) show that between January and August this year, almost 63,500 people from the Commonwealth of Independent States (CIS), which includes several countries such as Russia, Ukraine and Kazakhstan, had visited Singapore. That was a 20 per cent year-on-year increase. The Straits Times understands that most of these visitors were from Russia and, in particular, the capital city of Moscow. Last year, the average Russian visitor was 36 years old, stayed here for four days and spent $1,456, making this group one of the highest spenders among all visitors here. "Singapore has always been part of the Asian itinerary for Russians who are increasingly interested in the region," said STB's area director for Russia and Eastern Europe, Mr Raymond Lim. Their visits here are usually paired with trips to places in the region, such as Thailand or Malaysia. The Russians tend to be repeat visitors, according to travel agency Global Singapore, which helps 20 per cent of all CIS visitors to Singapore apply for visas. The agency's managing director, Ms Oksana Scott, said an increasing number also come here for medical services such as dental or cosmetic surgery. The number of Russian visitors typically rises further from now until March, when they escape the harsh winter at home by travelling to South-east Asia. Russians also enjoy a nearly two-week-long New Year break, which allows many to take vacations farther from home. For those who come to Singapore, they like to travel in style and prefer high-end hotels. The Ritz-Carlton, Millenia Singapore, for instance, has seen a 67 per cent jump in Russian guests over the past year. They spend on hotel suites, dining and alcohol, as well as luxury services such as spa treatments, butler-drawn baths and limousine transfers, said Ms Nathalyn Fong, the hotel's director of public relations and marketing communications. The rising number of Russian visitors has prompted hotels here to offer services that would make their guests feel more at home. Four Seasons Hotel in Orchard, for example, has Russian-speaking employees, while Marina Mandarin recently introduced Russian vodkas at its lounge. Russian visitors are also fans of luxury shopping. Italian luxury menswear company Uomo Group, which has six boutiques at The Shoppes at Marina Bay Sands, said the Russians are willing to spend on quality goods and good service. "They are carefree spenders and will buy whatever looks nice on them and fits well," said its chief executive, Mr Johnny Manglani. All the directors at the group speak Russian and are trained in customer service in Moscow, Mr Manglani added. Ms Ksenya Smirnova, who is from St Petersburg, visited Singapore for her honeymoon last February. She said it was Singapore's reputation as a "country of the future, with modern architecture and no garbage" that drew her here. She was here for three days after visiting Malaysia, and stayed at Marina Bay Sands hotel. "It is a really modern country. I can imagine myself living there," said the 26-year-old housewife. "Will I visit Singapore again? Yes, why not? Three days are not enough to explore Singapore." Retail rents at Singapore's iconic shopping belt Orchard Road are the seventh most expensive in the Asia-Pacific, even as the industry faces headwinds in the form of a tight labour market, higher costs and dwindling profits. According to Colliers International's Global Retail Highlights 2014 report, Orchard Road's retail rents stood at US$348 per sq ft per year, edging downwards just 0.7 per cent year on year in local terms. Colliers used an exchange rate of US$1=S$1.26 as at March 31 this year. SINGAPORE remains an attractive destination for international brands and new labels to set up shop despite steep rents and tough operating conditions, according to Colliers International yesterday. The property consultancy acknowledged that bricks-and- mortar retailers are feeling the heat from the competition posed by e-commerce firms, rising costs, a tighter labour supply and shrinking profits. It, however, pointed out that the country still packs a punch as a shoppers' paradise. It cited Singapore's position as a "gateway city" to the wider South-east Asian market in its study of 125 retail real estate markets in 50 countries. Singapore was ranked seventh in a league table of the top 10 most expensive retail rents in the Asia-Pacific region at US$29 per sq ft (S$38 psf) a month. This was down a spot from last year, when monthly rents were at US$29.60 psf. New York's Fifth Avenue had the most expensive monthly rents at US$295.80 psf, while Queen's Road Central in Hong Kong was tops in the Asia-Pacific at US$172.80 psf and second overall globally. Canton Road in Hong Kong was in third place overall at US$167.60 psf. Monthly gross rents in the prime shopping belt of Orchard Road were mostly unchanged in the past year, softening slightly to $36.25 psf, down from $36.38 psf a year ago. But more chains have made their way into Orchard Road over the past year. Spanish women's wear label Adolfo Dominguez, British retail brand Cath Kidston and Swedish fashion chain Cos are among the new arrivals. Mr Simon Lo, executive director of research and advisory for Asia at Colliers, said Asian retailers have been competing with the increasing popularity of online firms, but top-tier brands will still remain in core city areas. The supply of new retail space in such areas is, however, limited in places like Seoul and Singapore. This will result in a decentralisation of mid-range labels, he added. More suburban malls are expected to open here over the next year. These include Waterway Point in Punggol, which has an estimated net lettable area of 344,370 sq ft, and Big Box in Jurong East, with a net lettable area of 260,000 sq ft. Monthly gross rents for prime retail space on the ground floor in local city-fringe malls were $24.35 psf as at Sept 30, up from $23.39 psf a year earlier. Monthly rents at regional centres, which are commercial hubs outside the city, were $33.72 psf, up a touch from $33.46 a year ago. "Malls in Orchard Road are facing increased competition from malls in other districts including those in the suburban and regional areas, which enjoy a captive and ready shopper catchment," said Ms Chia. "These malls have proven to be resilient in performance, largely due to this advantage and their close proximity to MRT stations." The Housing and Development Board (HDB) released a mixed-use site in Yishun and an executive condominium (EC) site at Anchorvale Crescent in Sengkang for tender on Tuesday that are estimated to yield a total of 700 residential units. While both 99-year leasehold sites appear fairly attractive, the current unsold residential stock in their vicinity could prove to be a deterence to developers. Still, consultants are expecting the commercial-residential site at Yishun Avenue 4 to draw a high number of bids. An Executive Condominium site at Anchorvale Crescent and a mixed commercial/residential site at Yishun Avenue 4 are expected to yield about 700 residential units, says the HDB. SINGAPORE: The Government will be releasing two sites at Anchorvale Crescent and Yishun Avenue 4 for sale in November, according to the Housing and Development Board (HDB) on Tuesday (Nov 18). Anchorvale Crescent is an Executive Condominium site while Yishun Avenue 4 is meant for mixed commercial/residential development. Both sites are in the Confirmed List under the Government Land Sales (GLS) Programme for the second half of 2014, and are expected to yield about 700 residential units, HDB said in its press release. The mixed-use site in Yishun is one of the first two selected GLS sites to adopt the Prefabricated Prefinished Volumetric Construction (PPVC), it added. The closing date for the EC site's tender is on Dec 30, 2014, while the mixed commercial/residential site's tender will close on Jan 13, 2015. SINGAPORE — Cloudy days are in store for the resilient Grade A office market in Singapore, with rents expected to come under pressure in the second half of next year as competition for tenants intensifies, the manager of Marina Bay Financial Centre (MBFC) and One Raffles Quay said yesterday. An upcoming avalanche of supply from several mega projects from 2016 will be exacerbated by slowing demand from the financial sector — traditionally the key driver behind premium office rents — amid signs that some international firms are putting their expansion plans on hold as they re-evaluate business strategies, Mr Warren Bishop, chief executive of Raffles Quay Asset Management (RQAM), told reporters. “Marina One is due to complete at the end of 2016 or in 2017 and Tanjong Pagar Centre in the middle of 2016, so that’s a large amount of space of about 2 million sq ft in the horizon. The question is, when will that begin to affect the market? My best guess is probably towards the end of next year,” he said. Jones Lang LaSalle estimates close to 4 million sq ft of new office space is expected to be completed in Singapore in 2016, a historical high since 1997 that exceeds the 10-year average island-wide demand of 1.5 million sq ft per year. “When most tenants consider renewing their leases, they look 12 months ahead … Given that the bigger chunk of space will not come online until 2016, 2017, that won’t affect the market until towards the end of next year, when a downward trend will begin,” Mr Bishop said. Grade A office rents inched up between 0.4 and 2.9 per cent in the third quarter from the previous three months, a Colliers International report showed recently, with those in the central business district hitting S$8.83 to S$10.25 per square foot per month amid stronger demand than supply. This was despite a recent weaker appetite from the financial sector. Occupancy rates have also remained tight, with most areas maintaining rates of above 95 per cent. The two properties under RQAM’s portfolio — Marina Bay Financial Centre and One Raffles Quay — are about 98 per cent leased, said Mr Bishop. “The local financial institutions are still strong and the market is being picked up by other sectors: We have a lot of activity on the e-commerce side as many of them are expanding in Singapore. Commodities is still strong too and we’ve seen a lot of interest from Chinese petrochemical companies recently, which is good because mainland Chinese companies don’t usually aim for Grade A,” he added. PRIVATE condominium sellers are taking nearly six months to secure a sale, the longest wait in over two years, new data shows. It also takes far longer now to find a buyer for a Housing Board flat - with a three-month wait on average. Data compiled by the Singapore Real Estate Exchange (SRX) shows that private non-landed units spent a median of 120 days on the market in the first quarter, rising to 137 days in the second quarter and 154 days in the third. Last month, they spent 172 days - almost six months - on the market before being sold. It is a far cry from 88.5 days, or less than three months, a year back. The median wait to sell HDB units has grown as well, from more than 60 days per quarter in 2012 and last year to 91 days in the third quarter this year. These long waits reflect weakened demand, consultants say. Upcoming increases in total residential stock will further pressure owners to sell, said Century 21 chief executive Ku Swee Yong. In the HDB market, resale demand has suffered owing to factors such as the large number of new Build-To-Order flats, giving first- and second-time buyers a more affordable option, said PropNex CEO Mohd Ismail. There has also been growing supply in the HDB resale market from people collecting keys to second homes, leading to sliding prices in the past five quarters. For private homes, the total debt servicing ratio and additional buyer's stamp duty have discouraged buyers. New private home sales are not expected to exceed 9,000 this year, far lower than last year's 17,590 annual sales figure. The median price spread - the difference between asking and transaction prices - has also risen in both public and private residential markets, SRX found. In the HDB market, the median price spread rose from 4.7 per cent in the first quarter to 4.9 per cent in the second and 5.9 per cent in the third. It was 3.8 per cent in the third quarter last year and 2.1 per cent a year earlier. For private non-landed properties, the spread went from 6.3 per cent in the first quarter to 7.3 per cent in the second and 8.2 per cent in the third. It was 4.9 per cent in the third quarter last year and 4.1 per cent a year earlier. While median days on market is expected to rise, price spreads may keep edging up though they are likely to stabilise soon, said OrangeTee research manager Wong Xian Yang. Valuations could be adjusted and sellers are likely to lower asking prices. Private condo owners tend to have more holding power, but weak leasing demand for newly completed mass market condos may pressure some owners to sell, said R'ST Research director Ong Kah Seng. The longer waits and growing price spread do not necessarily mean prices will soften further, said Savills Singapore research head Alan Cheong. "Usually, (this could be the case) for more liquid markets like equities... Fortunately, real estate is not a homogeneous product with factors including location and unit size... all having an effect on pricing. Still, with a negative economic indicator such as increased days on market, creditors may feel compelled to quickly act against delinquent loans." Keppel Infrastructure Trust (KIT) and CitySpring Infrastructure Trust are poised to create the largest Singapore infrastructure-focused business trust listed on the Singapore Exchange, following the combination of the two trusts, and the acquisition of a stake in Keppel Merlimau Cogen. When completed, the two transactions will yield a combined trust with a market capitalisation expected to exceed S$1.9 billion and total assets in excess of S$4 billion. TWO Temasek Holdings-linked units will join forces to create Singapore's largest infrastructure business trust with assets of more than $4 billion and a market capitalisation of around $1.9 billion. Keppel Infrastructure Trust (KIT) and CitySpring Infrastructure Trust (CIT) announced a mega deal yesterday to combine their units. The two Singapore Exchange-listed trusts said after markets closed yesterday that CIT will acquire all the business undertakings and assets of KIT in exchange for around 1.33 billion new units of CIT. Each KIT unitholder will receive 2.106 new CIT units for every KIT unit held. The swap ratio was reached from KIT's market capitalisation of $658 million and CIT's market capitalisation of $753 million based on their average prices for the past six months. Upon completion of the deal, CIT will be renamed Keppel Infrastructure Trust with KIT's manager, Keppel Infrastructure Fund Management, appointed as manager. Based on the trusts' latest annual reports, Temasek held a 37.41 per cent stake in CIT while Keppel Corp owned 49.17 per cent of KIT. Temasek owns 20.47 per cent of Keppel Corp. The trustee managers believe the deal would have increased distribution per unit for investors while reducing trustee-manager fees of about $3.6 million on a proforma basis. It will also form an attractive and diverse portfolio of infrastructure assets. Separately, KIT said it will acquire a 51 per cent stake in Keppel Merlimau Cogen for $510 million from its sponsor, Keppel Infrastructure Holdings. Keppel Merlimau Cogen owns a gas turbine power-generation facility on Jurong Island, which will come under the combined entity. The purchase will be financed by an equity fund-raising exercise of up to $525 million. Besides the gas turbine power-generation facility, other KIT assets in the enlarged entity will be its Senoko Waste-to-Energy Plant, Keppel Seghers Tuas Waste-to-Energy Plant and its Ulu Pandan Newater plant. CIT's portfolio of five assets will also be part of the mix. They include City Gas, the producer and retailer of town gas, desalination plant SingSpring and Basslink, which owns and operates an underwater power cable linking mainland Australia with Tasmania. Before the completion of the deal, existing CIT unitholders will receive a one-time distribution of $30 million. The merged trust will also make a one-time $30 million distribution to its expanded base of unitholders after the completion of the deal. The proposed merger is subject to the approval of minority unitholders of KIT and CIT, with substantial shareholders Keppel Corp and Temasek Holdings abstaining from voting. Once the deal is complete, Keppel Corp will hold a 22.9 per cent stake in the merged entity, while Temasek will become the second-largest unitholder with about 19.97 per cent. Analysts told The Straits Times the deal is complementary as the two units are invested in different infrastructure assets. IG market strategist Ryan Huang said: "It gives the two trusts the synergy to become a one-stop infrastructure solution unit." Voyage Research chief executive Roger Tan said: "I believe CIT has been trying to find ways to grow its assets and also dilute their debt level. This deal kills both birds with one stone." Trading in the shares of the two trusts has been suspended since last Friday, pending the announcement. Centurion announced that it has won an open tender for a 12,000-bed dormitory land plot, comprising a 99-year-lease land area of 12.6ha, in Juru, Penang, Malaysia from Penang Development Corporation for S$8.06 million. This further strengthens its foothold in Penang, with a total of 17,000-bed capacity expected by 2018. Despite a potential surge of 100,000 beds coming onto the market over the next few years, we remain positive on Centurion as we believe it stands out among its listed peers in terms of cost structure, margins and experience in the dormitory business. In addition, its expansion plans are also on track. MR HO Kwon Ping called for the HDB's role to evolve from that of a housing developer to that of a master land developer and price regulator ("The next 50 years of Singapore's economy", last Thursday). Despite the high-minded intentions, having regulators set sales price caps, essentially price controls, is an economist's last resort and often worsens the situation. New York City's rent control regulation is a prime example. Notwithstanding a housing shortage, enterprising private developers who cannot price their apartments above the mandated limit can get around it by either lowering the quality of their housing or charging various "miscellaneous fees" to offset the reduced prices. In the first scenario, lower-quality housing tends to draw less affluent residents, affecting neighbourhood businesses in the process. In the second scenario, regulators and developers might find themselves in a cat-and-mouse game of regulate-and-evade, wasting government resources. The other question concerns secondary market participants. Would the discrepancy between resale prices and primary regulated prices cause property "flipping", especially if the difference is wide? Or would the HDB's five-year minimum occupation period be expanded? The sale, purchase and pricing of a residential unit are largely a contract between the buyer and the seller. Policies should facilitate the process, but not replace or distort it. I read with interest the article “EC vacancies signal continued HDB resale price weakness” (Nov 7). We have one group of families who could potentially end up owning two taxpayer-subsidised housing units concurrently — the newly-completed executive condominium (EC) unit that they have to move into and the Housing and Development Board (HDB) flat they currently own — because they are unable to sell their HDB flats. These families are under pressure to sell their HDB flats as they can hold only one subsidised housing unit at a time and they are asking for an extension. There is also a second group of families who currently own HDB flats and they have been allowed to purchase private properties because they have met the Minimum Occupation Period (MOP) of five years. This group can choose to rent out their HDB flats after they have moved into their new private properties. The third and most unfortunate group is the private property owners. Many families in this group are retirees who want to buy an HDB flat (resale) or a small EC to live in during their retirement years. But they are not allowed to do so unless they sell off their private property. As I understand it, the Government is trying to encourage retirees to take care of themselves during their retirement. However, it is a sad thing that this group of families would not be allowed to buy a HDB flat to stay in so they could live off the rental income from their only private property. I know many who belong to this group and they feel trapped. There appears to be differential treatment towards the second and third groups as the second group can still live in the HDB flats they currently own, buy private properties after they have met the MOP condition and then live off the rental income from their private properties. Perhaps the Government might consider allowing the third group of families, who own only one private property, to purchase a HDB flat that they can live in. Now that the current situation shows there are families who have upgraded to an EC or BTO and cannot sell their existing HDB flat, perhaps the HDB could consider allowing the third group of families to buy these units? It would help to alleviate the current predicament of the first group and give some relief to the third. This change would not cause the prices of HDB flats to skyrocket as the Mortgage Servicing Ratio and Total Debt Servicing Ratio measures are in place, and this group of families are not speculators. They want only to live in an HDB flat while they live off the rental from their one private property. After all, the second group is already doing the same. URBAN solutions firm Surbana International Consultants signed two agreements yesterday for projects in the Chinese province of Guangdong. One will involve a three-way collaboration between Surbana, the Guangzhou Knowledge City Administrative Committee (GKCAC) and the Sino-Singapore Guangzhou Knowledge City (SSGKC) to assist in master planning, architectural and city management services within the SSGKC. The parties are studying the possibility of collaborating on an upcoming integrated health-care development in Guangzhou, the provincial capital and largest city. The second memorandum of understanding is between Surbana and the Guangzhou Development District Commercial Deve- lopment Group. This is to pilot an integrated estate management system to improve delivery of municipal services in Fengshan Garden, a resettlement housing estate in north-east Guangzhou with more than 700 households. A pilot programme could be implemented by February. Once this has been completed, both parties will review the outcome and consider further collaborations in other parts of Guangdong. The integrated estate management system was created by Surbana and is used by all local councils spanning more than 20 townships in Singapore. It allows Surbana to monitor more than 20,000 lift systems in real time while also tracking approximately 70,000 items of feedback from users on a monthly basis. The two agreements were among 17 signed yesterday on the sidelines of a meeting to promote Singapore-Guangdong relations. The collaborative projects span health care, transport, urban solutions and environmental services. Singapore Transport Minister Lui Tuck Yew, who is also co-chair of the Singapore-Guangdong Collaboration Council, told the event that relations between Singapore and Guangdong have grown stronger since the council was set up in 2009. "Singapore is happy to contribute to Guangdong's reforms. The province has been Singapore's top trading provincial partner in China for the past 25 consecutive years," he said. "China was also the top trading partner for Singapore. Last year, our trade volume reached US$18 billion (S$23 billion). At the same time, Singapore's cumulative actual investments into Guangdong grew about 10 per cent to over US$9 billion." Paramount Group Inc., an office landlord, climbed in its trading debut after raising $2.3 billion in the largest ever initial public offering for a U.S. real estate investment trust. The shares climbed 3.9 percent to $18.18 after the company sold them for $17.50 each. The shares are listed on the New York Stock Exchange under PGRE. Investor demand for property trusts is soaring partly because they offer higher yields than some other securities, such as U.S. Treasury notes. The Bloomberg REIT Index has gained more than 20 percent this year, nearing its highest level since March 2007. The offering by Paramount, which plans to qualify as a REIT, surpasses Douglas Emmett Inc. (DEI)’s IPO in 2006, which raised $1.6 billion including an overallotment, as the biggest in the U.S.
“Pricing at the midpoint of the proposed range appears to reflect confidence in the company’s high-quality gateway portfolio, established track record and legitimate operating platform,” Green Street Advisors Inc. analysts led by Jed Reagan wrote in a report late yesterday. Paramount owns or has stakes in 12 office buildings, including One Market Plaza in San Francisco and 1301 Avenue of the Americas in New York. Office rents in the two coastal cities are growing faster than in many other parts of the country as the economy grows and technology companies expand. Tenants include Bank of America Corp. and Barclays Plc. The company plans to use proceeds from the offering for debt repayment, capital expenditures and possible acquisitions, regulatory filings show. Paramount has acquired 28 properties with a value of about $11.5 billion since 1995. In 20 years, the market capitalization of REITs has surged to about $816 billion from $44 billion, and will probably continue rising, according to PricewaterhouseCoopers LLP. The REIT industry has grown over the years as investor interest in real estate has increased. Investors seeking to diversify their portfolios have included property companies to broaden their holdings. REITs are required to pay at least 90 percent of their taxable income to shareholders as dividends, and don’t have to pay federal income taxes on those earnings in exchange. Most REITs distribute all of their earnings to get the full deduction. Paramount’s predecessor company was founded by Werner Otto, who started Germany’s largest mail-order company from a shoe factory in Hamburg. He died in 2011 at the age of 102. Concurrent with the IPO, Paramount will sell shares in private placements to certain investors, including $51 million to some family members and affiliates of Otto, according to Paramount’s prospectus. Bank of America, Morgan Stanley and Wells Fargo & Co. managed the sale. An Ivanhoe Cambridge Inc. venture agreed to buy a Manhattan office tower from Blackstone Group LP (BX) for about $2.25 billion, extending a surge of demand for prime U.S. properties, two people with knowledge of the deal said. The Ivanhoe group signed a contract yesterday to purchase 1095 Avenue of the Americas, a 42-story building on Bryant Park, said the people, who asked not to be named because the transaction is private. The sale would be the largest of a whole U.S. office property since a group led by Boston Properties Inc. bought the General Motors Building in New York for a record $2.8 billion in 2008, according to Real Capital Analytics Inc. Stable, well-leased U.S. real estate has attracted investors from around the globe seeking higher yields than bonds and a way to benefit from the recovery in the U.S. economy. Canada has been the biggest foreign buyer of American commercial properties since 2010, Real Capital data show. “The New York market alone has more office inventory than the entire country of Canada,” Adam Adamakakis, executive vice president for U.S. investments at Ivanhoe Cambridge, said in an interview last year. Ivanhoe, a unit of pension fund Caisse de Depot et Placement du Quebec, has been working in a venture with Chicago-based Callahan Capital Partners to boost its real estate holdings. The Canadian investor has plans to accelerate a U.S. expansion over “the next several years,” Adamakakis said in the 2013 interview. Sebastien Theberge, a spokesman for Montreal-based Ivanhoe, and Peter Rose, a spokesman for Blackstone in New York, declined to comment on the 1095 Avenue of Americas deal. Doug Harmon of Eastdil Secured LLC, the broker on the sale, also declined to comment. The agreement was reported yesterday by the Wall Street Journal. The Bryant Park tower is located between Times Square and Fifth Ave. The building is almost fully occupied, said one of the people with knowledge of the sale. It is home to Verizon Communications Inc.’s headquarters and offices for MetLife Inc. Whole Foods Market Inc. has leased retail space. Blackstone acquired the skyscraper in its $39 billion takeover ofSam Zell’s Equity Office Properties Trust in 2007. The world’s biggest real estate private-equity firm completed about $300 million in renovations. The property, also known as 3 Bryant Park, attracted interest from domestic and foreign investors, including sovereign wealth funds and real estate investment trusts, said one of the people with knowledge of the deal. The sale to the Ivanhoe venture is being done at a capitalization rate of about 4.5 percent, said the people with knowledge of the investment. Cap rates are a measure of investment yield used in real estate. They are calculated by dividing net operating income by purchase price. The transaction is expected to be completed close to the end of the year or early in 2015, said one of the people. Canadian investors bought stakes in properties worth $8.3 billion this year through Sept. 24, after $11.1 billion of deals in all of 2013, according to Real Capital, a New York-based research company. Blackstone in September sold a group of Boston office buildings to investors led by Oxford Properties Group, a unit of the Ontario Municipal Employees Retirement System. Ivanhoe had more than C$40 billion ($35 billion) of assets as of Dec. 31, according to its website. The company owns mainly shopping centers, office buildings and apartment properties in Canada, the U.S., Europe, Brazil and Asia. Last year, the families of Chinese real estate developer Zhang Xin and Brazilian banking billionaire Moise Safra bought a 40 percent stake in the GM Building in a transaction that valued the 50-story tower at about $3.4 billion. The two bought their stakes from a Goldman Sachs Group Inc. fund that invests for the sovereign-wealth funds of Kuwait and Qatar, and from Meraas Capital LLC, a Dubai-based private-equity firm, a person with knowledge of the sale said in June 2013. Boston Properties retains a 60 percent stake in the GM Building. Confidence among U.S. homebuilders rebounded in November as low interest rates and a strengthening job market helped boost sales. The National Association of Home Builders/Wells Fargo builder sentiment gauge advanced to 58, matching the second-highest level since 2005, from 54 in October, figures from the Washington-based group showed today. The median forecast in a Bloomberg survey called for the index to rise to 55. Mortgage rates that are hovering near 4 percent and unemployment at a six-year low are giving more Americans the confidence to enter the market. At the same time, wage growth has been lackluster and property values have climbed, making homeownership prohibitively expensive for some first-time buyers. Readings greater than 50 mean more respondents report good market conditions. This month’s gauge is just short of the nine-year high of 59 reached in September. Estimates (USHBMIDX) in a Bloomberg survey of 50 economists ranged from 52 to 57. The homebuilder group’s index of current single-family sales increased to 62 in November from 57. A gauge of prospective buyer traffic climbed to 45 from 41, while the six-month sales outlook rose to 66 in November from 64. Builder confidence increased in all four regions, led by a surge to 51 from 39 in the Northeast. The housing market has been supported by borrowing costs near historic lows. The average 30-year, fixed-rate mortgage was 4.01 percent in the week ended Nov. 13, down from 4.35 percent a year earlier, according to Freddie Mac, based in McLean, Virginia. The challenge for builders has been rising prices and stricter lending standards, particularly for first-time buyers. ‘ ‘It’s tough for those folks to get a loan,” Larry Nicholson, chief executive office at Ryland Group Inc., said at a Nov. 13 conference. More than 30 percent of business at the Westlake Village, California-based builder is entry-level buyers, he said. A Commerce Department report tomorrow is projected to show housing starts were little changed at a 1.03 million pace in October from a 1.02 million rate a month earlier, according to the median estimate in a Bloomberg survey. Forest City Ratner Cos. (FCE/A) bought its partner’s stake in a factory building modular units for a stalled apartment tower at the Atlantic Yards development in Brooklyn, New York, paving the way for the project to resume. Forest City will acquire Skanska USA (SKBSY)’s stake in a modular-factory joint venture it has with the company, according to a statement today from the firms. Modular apartments are units or parts of units that are assembled in a factory off-site and then added to a building. The deal clears the way for Forest City to resume construction of B2, a 32-story, 363-unit apartment tower that would be the world’s tallest pre-fabricated building. The project has been stalled since August because of a court dispute between Skanska and Forest City over delays, designs and costs. The tower is the first of 14 apartment buildings to be built at what has been renamed Pacific Park, part of a $4.9 billion project in the heart of downtown Brooklyn, which the city is counting on to deliver affordable housing in a market with rising real estate prices. The project includes Barclays Center, the arena that’s been home to the National Basketball Association’s Brooklyn Nets since 2012. The agreement ends the partnership with Skanska and gives Forest City control over the modular factory in the Brooklyn Navy Yard, where the units were being constructed. Litigation between the companies will continue, according to today’s statement. Terms of the deal weren’t disclosed. Catalonian independence, favored by 81 percent of those who voted in an unofficial ballot this month, would put at risk a growing regional economy lifted by one of Spain’s recovering property markets. An exit from the euro, debt downgrades and the flight of banks and other businesses are all possible consequences of separation from Spain. At the least, it would undermine a real estate revival that’s made Catalonia’s capital, Barcelona, the second-most popular city for commercial-property investment after Madrid, said Patricio Palomar, director of research and investment strategy at CBRE Group Inc. (CBG)’s Spanish unit. The housing market, emerging from a seven-year slump, would also suffer, he said. The Nov. 9 ballot, which had been blocked by Spain’s Constitutional Court, was the latest expression of a four-year resurgence of separatist sentiment in Catalonia, a region of 7.4 million people that’s about the same size as Belgium. While the road to an independent Catalonia would be a long one, the potential consequences of flirtation with the idea were seen a week before the ballot, when Fitch Ratings threatened to downgrade Catalonia’s debt to junk-bond status because of the political uncertainty. The value of Catalonia’s 1.3 billion euros ($1.6 billion) of 4.75 percent bonds repayable in June 2018 have slumped since July as calls for independence merged into a set date for a vote. The bonds currently trade at about 107.81 percent of face value, down from more than 111 percent in the first week of September. Catalan President Artur Mas plans to use the vote to force Spanish Prime Minister Mariano Rajoy into negotiating a path to independence. Rajoy opposes any vote on the issue. This month’s ballot took place as Spain’s political establishment faces its biggest crisis since the return of democracy 36 years ago. Unemployment is at 24 percent, the second-highest in Europe after Greece, and corruption allegations have eroded confidence in the government. Before the vote, Rajoy said the courts and the police would prevent it from going ahead. Ultimately, he took no action when more than 1,000 polling stations opened across the region, to avoid driving more Catalans into the separatist camp. Rajoy plans to visit the region on Nov. 29 to give a “better explanation” of arguments against independence. Investment in Spanish commercial real estate more than doubled in the first half from a year earlier to 3.23 billion euros, according to data compiled by CBRE. Madrid took the lion’s share with 60 percent of the total, though Barcelona is expected to catch up by the end of the year, Palomar said. About 10.1 billion euros was invested in commercial properties when the Spanish market last peaked in 2007. CBRE estimates that total investment in Spanish real estate will be 9 billion euros this year. While investors are still buying assets in Catalonia, some are beginning to weigh the potential fallout resulting from a decision to break away from the rest of Spain, said Jeff Greensmith, founder of Tarragona-based property brokerage Fincasdirect.com. By cutting its ties to Spain, Catalonia would probably force its financial institutions to function without the support of the European Central Bank, Palomar said. Such a move would also prevent the region’s government from raising money by selling bonds. “All of this would have a damaging impact on the local economy, and that would filter through to the real estate market,” he said. Catalonia accounts for 18 percent of Spain’s gross domestic product. Spanish leaders have had to contend with restive regions seeking independence for hundreds of years. Catalonia has periodically pushed for autonomy for 300 years, suffering considerable setbacks along the way. General Francisco Franco banned the Catalan language when he came to power in 1939, following the Spanish Civil War. The region didn’t overturn this measure or gain control of its health and education policies until after Franco’s death in 1975. Even then, Catalonia didn’t get the tax-raising power awarded to Spain’s Basque Country, where terror group ETA has killed more than 800 people during its own four-decade campaign for independence. ETA has since disarmed, though the Basque government is still seeking more autonomy over its finances. After Scotland voted to stay in the U.K. in a September referendum, Catalonia has become the most likely country or region in the European Union to gain independence. EU leaders insist that in such a situation, the newly independent country would have to reapply for membership in the group of countries that share the euro, without any guarantee of success. Barcelona, Spain’s second-largest city, is emerging from the country’s six-year recession in better shape than other areas. In the first quarter, Barcelona home prices rose 1.5 percent from a year earlier, according to Idealista.com. That was the first increase in any of Spain’s 11 largest cities since 2007, the country’s largest property website said. It’s a different story in the rest of Catalonia. The region has about 277,000 surplus homes, about 16 percent of the total and the second-highest after Andalucia, according to data compiled by property research firm R.R. de Acuna & Asociados. In September, Catalonia was one of only two Spanish regions in which the number of property sales fell from a year earlier, according to the national statistics office. If Catalonia goes its own way, the mortgage market would contract as its regional banks relocate, Palomar said. Homeowners with outstanding loans could also see their capacity to repay debt denominated in euros weakened if the region adopted a new currency, he said. “There is excessive uncertainty about what is going to happen,” said Jose Garcia-Montalvo, an economy professor at Pompeu Fabra University in Barcelona. He said that real estate financing and mortgage markets will depend “completely” on whether an independent state would be allowed to use the euro. So far, property investors have been “unfazed” by the prospect of a break by Catalonia, according to Palomar. That’s because assets are cheaper than in other European cities and most investors still doubt it will happen. In CBRE’s 2014 Investors Intentions survey, Barcelona was among the top 10 most preferred cities for the first time. Madrid came second after London. In July, Blackstone Group LP (BX), the world’s biggest manager of alternative assets, bought about 6.4 billion euros of mortgages concentrated in the region of Catalonia from CatalunyaCaixa SA for 3.6 billion euros. In the same month, the regional government of Catalonia sold a portfolio of 13 commercial properties to Zurich Insurance Group AG (ZURN) in a sale and leaseback deal worth 201 million euros. No one turned up to the first public auction of the properties and Zurich was the sole bidder in the second. 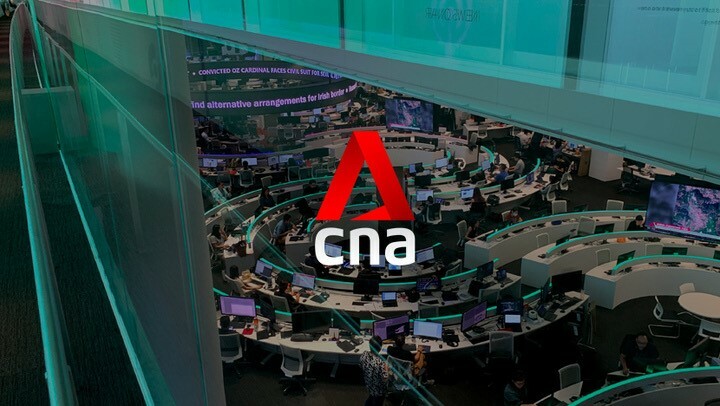 A year earlier, the regional government sold a portfolio of 13 buildings to Axa SA (CS)’s real estate arm for 172 million euros with a net yield of 9.5 percent. British Land Co. (BLND), the U.K.’s second-largest real estate investment trust, said first-half profit gained 6.2 percent after demand grew for offices and shops in London and the south east of England. Underlying pretax profit rose to 155 million pounds ($243 million) in the six months through September from 146 million pounds a year earlier, the London-based REIT said in a statement today. Underlying earnings per share increased 5.5 percent to 15.3 pence. Net asset value climbed to 769 pence a share from 688 pence a share at the end of March. British Land and rival Land Securities Group Plc are benefiting from their plan to develop London office buildings during the downturn without first securing tenants. London now faces a 13 million square-foot shortage of office space by 2018, which will force rents up, Jones Lang LaSalle Inc. said in an October report. Net income more than doubled to 998 million pounds, or 97.9 pence a share, from 427 million pounds, or 42.8 pence a year earlier as the value of the company’s assets rose and earnings from joint ventures and funds more than doubled. Engineers are inspecting the developer’s 47-story tower in the City of London known as the Cheesegrater after two steel bolts recently fractured, according to the statement. An investigation is being carried out with the results available in the new year. The company has made 318 million pounds of residential sales during the period, including 227 million pounds of sales at its luxury development at Clarges Mayfair. More than one of the apartments sold for more than 5,000 pounds per square foot, the most paid for a new home in the district, Tim Roberts, head of offices and residential said at the time. Home Depot Inc. (HD), the largest U.S. home-improvement retailer, posted third-quarter profit that topped analysts’ estimates as customer traffic increased even amid signs the housing market is cooling. Net income in the three months through Nov. 2 rose 14 percent to $1.54 billion, or $1.15 a share, the Atlanta-based company said today in a statement. The average of 26 analysts’ estimates compiled by Bloomberg was $1.13. Sales rose 5.4 percent to $20.5 billion, also topping projections. The quarter underscores the momentum Chief Executive Officer Craig Menear will seek to maintain after succeeding Frank Blake at the beginning of this month. The retailer’s sales have climbed for more than four years, fueled by the housing market’s rebound. The shares, which reached a record last week, slipped in early trading after Home Depot didn’t raise its revenue forecast for the current fiscal year amid slowing gains in U.S. home prices and sales. “They tend to guide somewhat conservatively,” Scot Ciccarelli, an analyst at RBC Capital Markets in New York, said today in a telephone interview. He has the equivalent of a buy rating on Home Depot and said today’s share decline may be due to investors locking in profits after the stock’s recent gains. Home Depot, which climbed as high as $99.36 last week, fell 0.8 percent to $97.24 at 7:45 a.m. in New York. The shares gained 19 percent this year through yesterday. Lowe’s Cos. advanced about 19 percent in that time as well, while the Standard & Poor’s 500 Index increased 10 percent. Home Depot’s same-store sales, considered an important measure of performance because only established stores are counted, rose 5.2 percent in the quarter. Analysts projected a gain of 5 percent, according to Consensus Metrix. The retailer had about 355.4 million transactions during the quarter, 3.2 percent more than a year earlier. The average sale rose 2.3 percent to $57.55. Home Depot today repeated its forecast that sales in the current fiscal year will rise about 4.8 percent. That would translate to revenue of about $82.59 billion. The average of analysts’ estimates compiled by Bloomberg was $82.64 billion. Home Depot also reiterated that it expects profit in the current fiscal year to increase 21 percent to about $4.54 a share. That figure includes an estimated $34 million in costs related to the data breach it disclosed in September as well as the benefit of the company’s $7 billion in year-to-date and planned share buybacks. Analysts estimated net earnings per share of $4.53, on average. The retailer said earlier this year that hackers stole 53 million e-mail addresses and gained access to the details of 56 million payment cards. The company has said it didn’t expect the attack to damp sales and today repeated its forecast that revenue would rise 4.8 percent this year. Both Home Depot and Lowe’s, which reports third-quarter results tomorrow, have been benefiting from rising home prices, which have prompted consumers to spend more on their homes. The median price for a single-family home in the U.S. rose 4.9 percent from a year earlier in the three months through September, according to a report from the National Association of Realtors. That came after gains of 4.4 percent in the second quarter and 8.3 percent in the first quarter. Price appreciation, however, is moderating as more properties are listed for sale and buyer demand slows, the group said. The number of contracts to buy existing homes also rose less than forecast in September, signaling demand may plateau heading into the end of 2014. The pending home sales index increased 0.3 percent after dropping 1 percent in August, the group said last month. The median projection in a Bloomberg survey of economists called for a 1 percent gain. Existing-home sales also are an important indicator for Home Depot because buyers often spend to update fixtures and appliances.